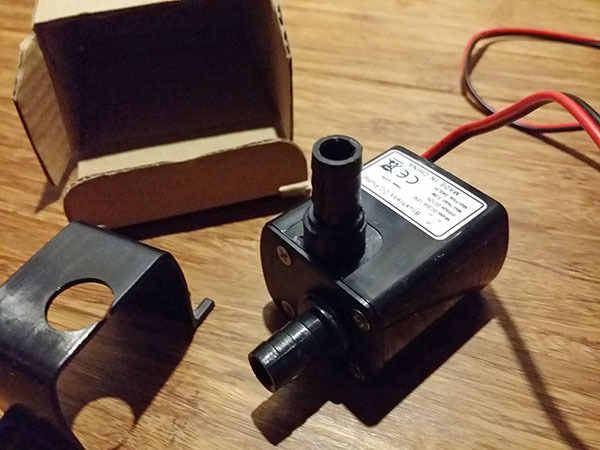 A couple off weeks ago I ordered a mini submersible water pump. And today it arrived. It’s mini, I wouldn’t say micro as presented by the seller with a size of 5.2 x 4.6 x 5.5cm. I did not test it yet because I am not sure if I will blow it up if it doesn’t pump water. It should be “ultra” quiet, something I will have to find out later as well. It came with a bracket to screw it on to something which was not mentioned in the webshop but it doesn’t fit. It’s Chinese, what do you expect? The reason I bought this fun gadget is a secret but I will keep you updated here. It has something to do with my 3d printing hobby.